« Apple: Get Off The Pot On AirPort Disk Already! The iPhone is rapidly increasing Apple’s share of the browser market, according to the latest figures from StatCounter. About 1 in 400 browsers on the Internet are now using Safari on the iPhone or iPod touch. In March, iPhone and iPod touch increased their share of the total browser market in the US from 0.14% in December to 0.23%. 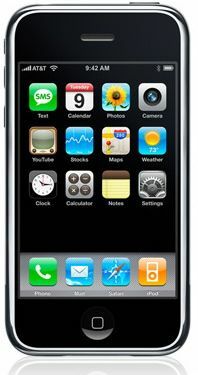 Globally iPhone/iPod touch has more than doubled its share of the Internet browser market from 0.03% to 0.08%. â€œThe key message is that iPhone is more than living up to its claims of being a user friendly Internet browser, unlike many other cell phones,â€ commented Aodhan Cullen, founder and CEO of StatCounter. make Safari the target platform for mobile development. While other manufacturers are playing catch-up with the iPhone, there’s a strong possibility that Apple’s integrated hardware/software approach, along with its two-year lead on other companies, will let it turn the iPhone into a juggernaut like the iPod. The StatCounter analysis was based on a sample of 372 million page views globally from December 07 to March 08, including 71 million US page views.